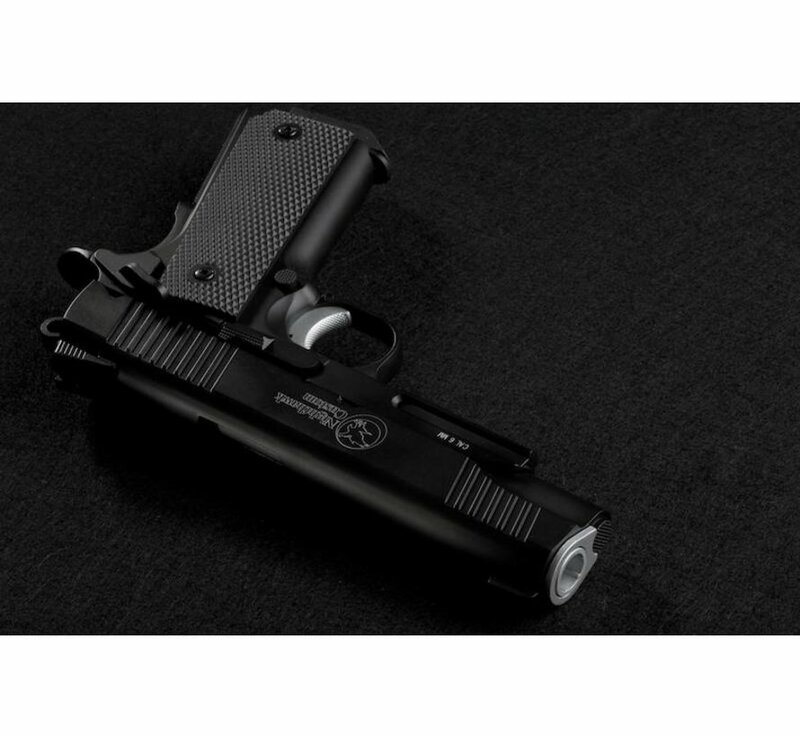 RWL Nighthawk Custom Recon CO2. 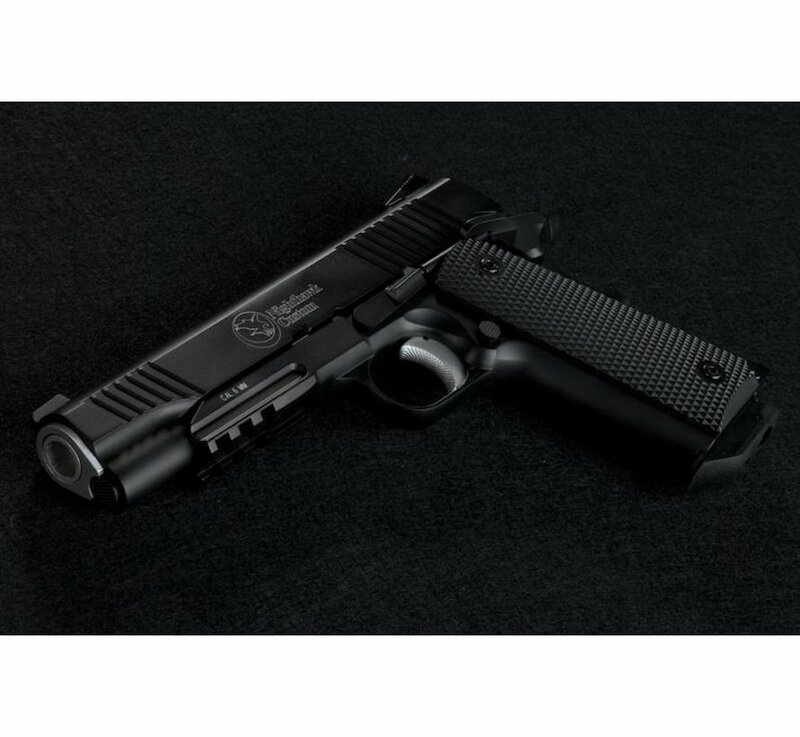 FULL METAL construction, Co2 powered GBB NightHawk Recon, made by KWC, reliable as usual. 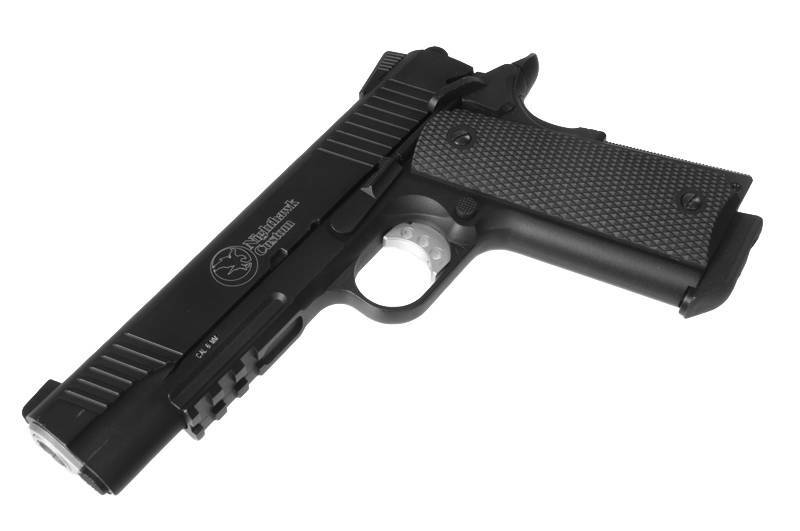 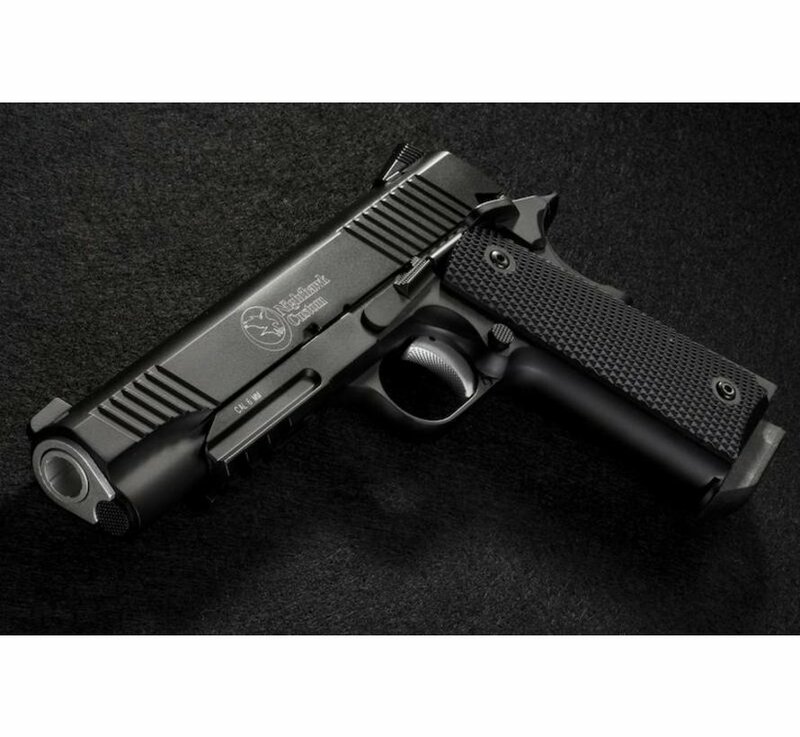 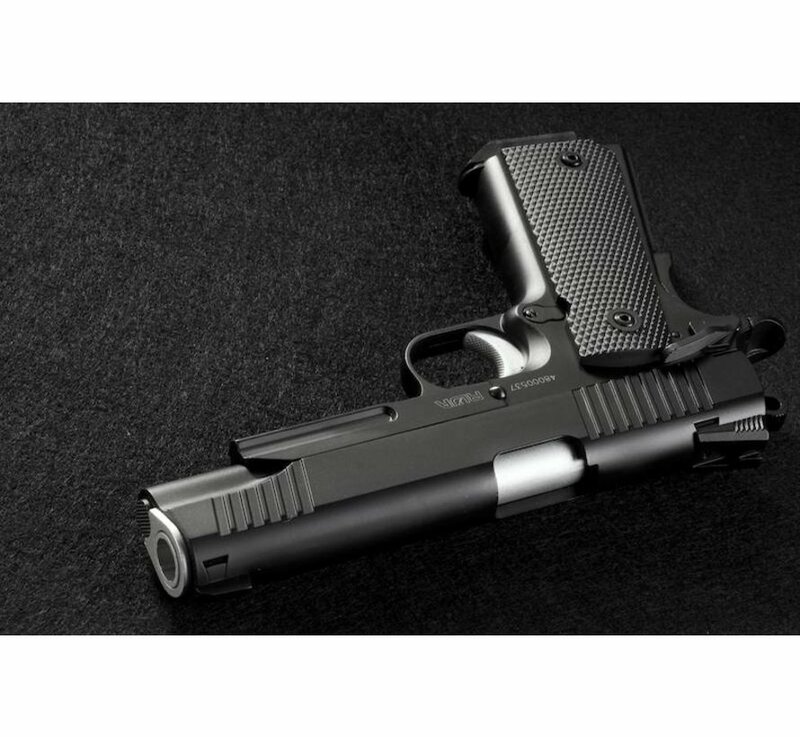 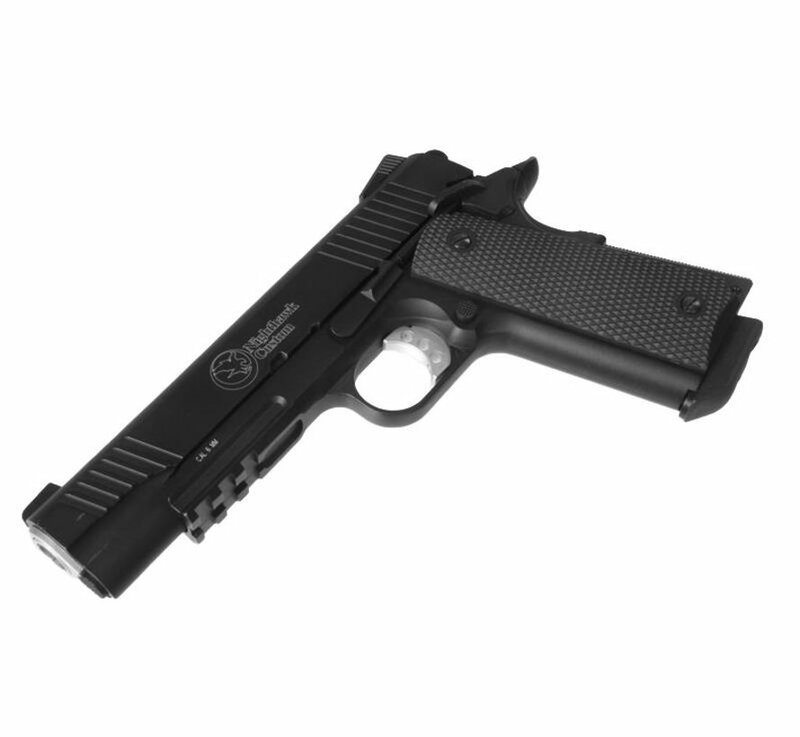 Based in the Ozark Mountains in Arkansas USA, Nighthawk Custom is world famous for their high quality custom 1911 pistols which are the market leader for high performance shooters and competition shooters. 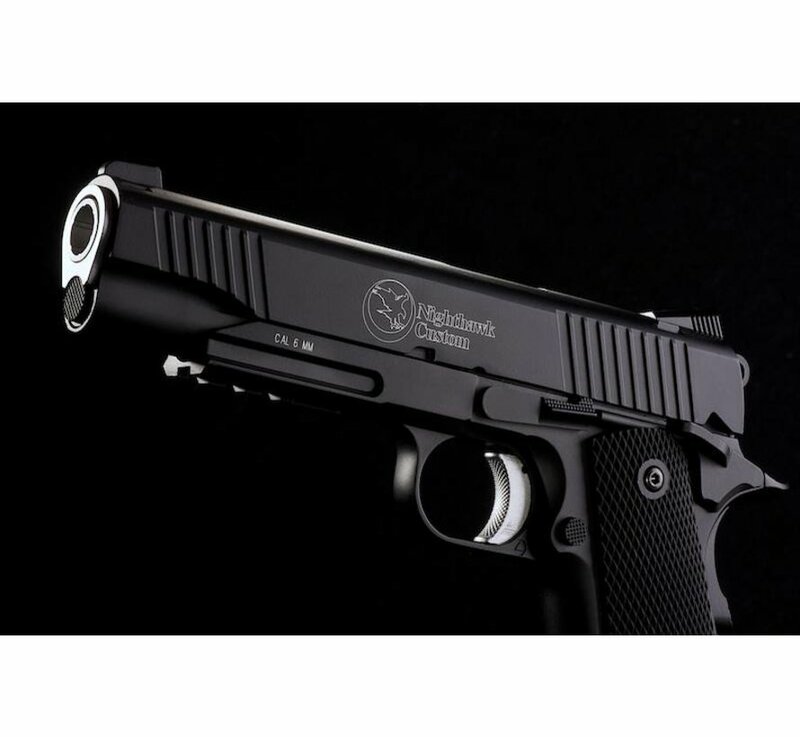 As seen in the MAGPUL DYNAMICS video used by the instructors, Nighthawk Custom pistols are refined to the highest levels of craftsmanship. 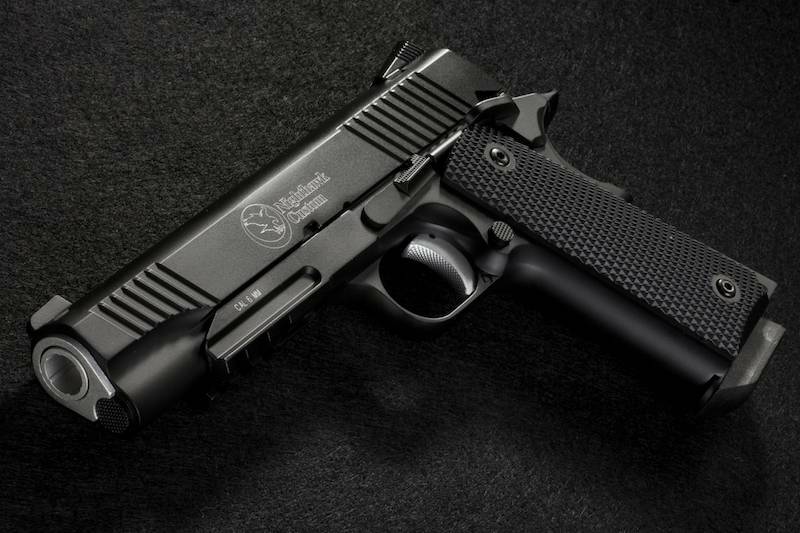 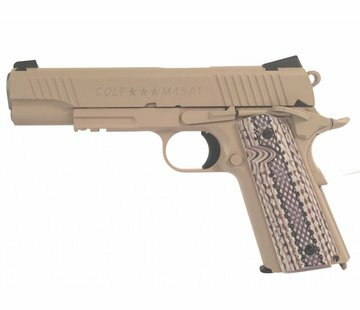 Chris Costa & Travis Haley both use Nighthawk Custom pistols in their 1911 instructional classes, which says a lot about the quality and performance of Nighthawk Custom 1911s. 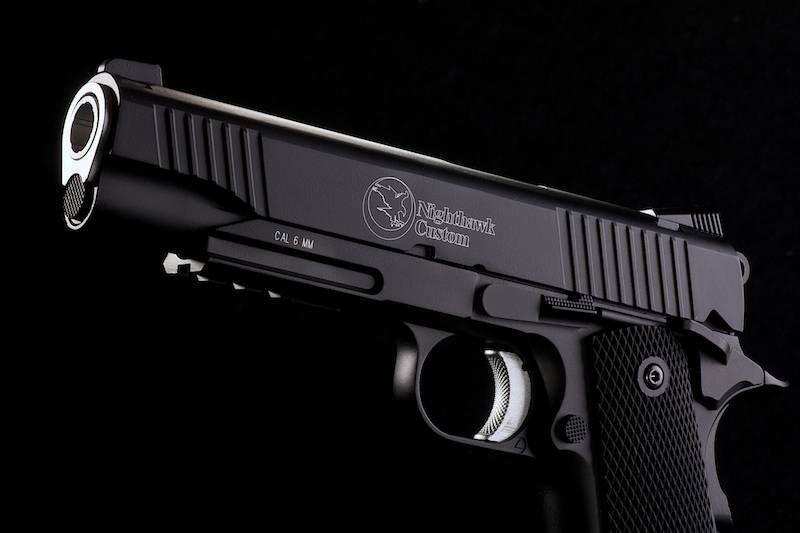 The RECON is based on a special model that Chris Costa designed for Nighthawk Custom. 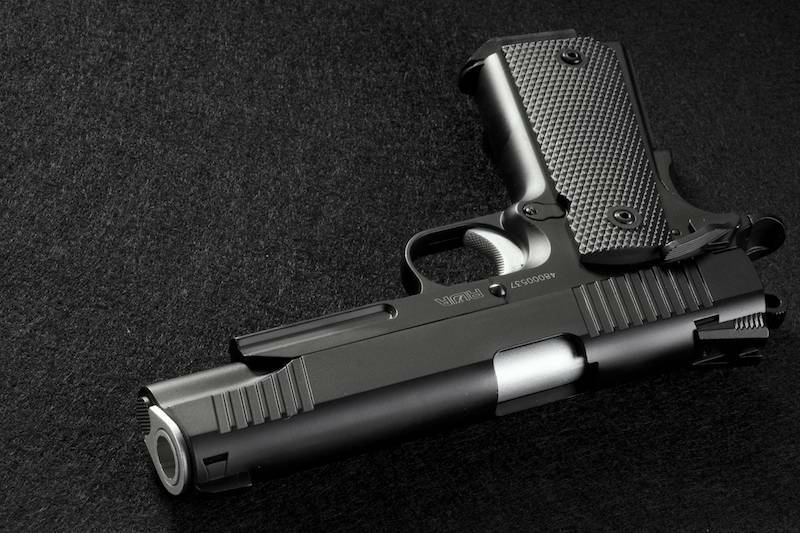 Designed for skirmishing, the Recon is powered by CO2 and delivers a very strong recoil kick as well as very effective power of 400fps on 0.2g BB's. 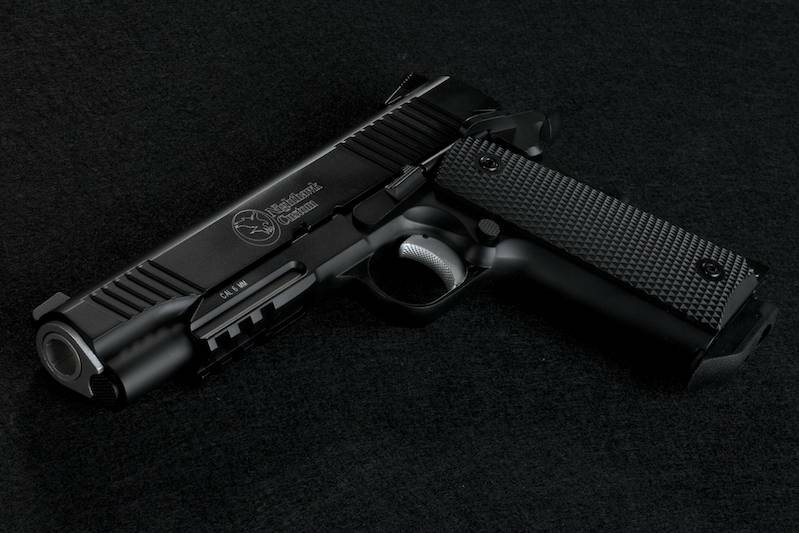 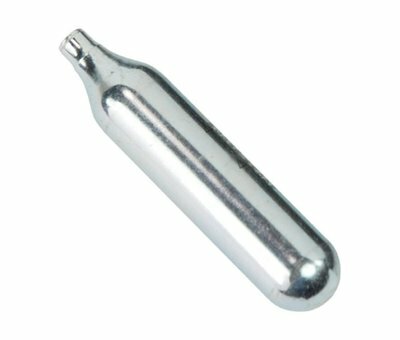 Performance is stable and effective even in cold weather. 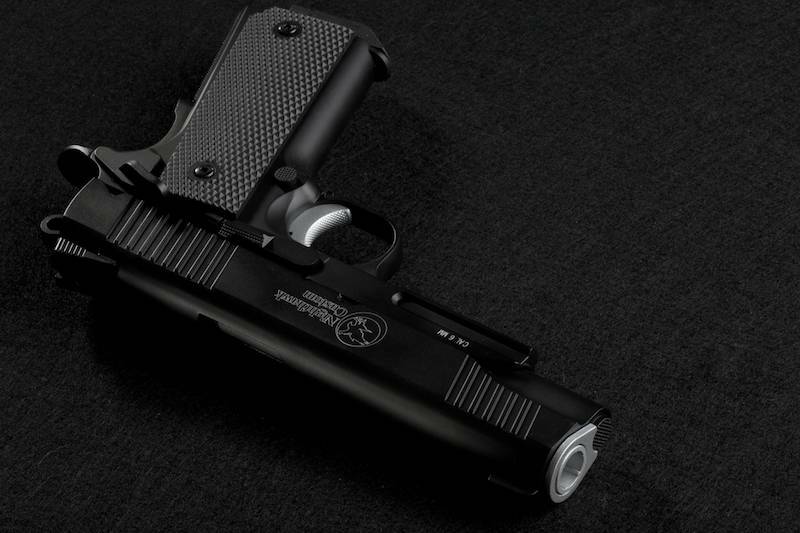 It also offers an accessory rail system for attaching flashlights and lasers for tactical use.